A good working water cooling system is required to keep the Sprinter engine from overheating. And a coolant leak can lead quickly to a failure of this system. To let you know about a dropping coolant level every car has some kind of sensor and warning light on the dash. The Sprinter version unfortunately is not fail safe and if the sensor is bad or a connection is broken the warning light will never come on so you should better check that the coolant level sensor is in working order. 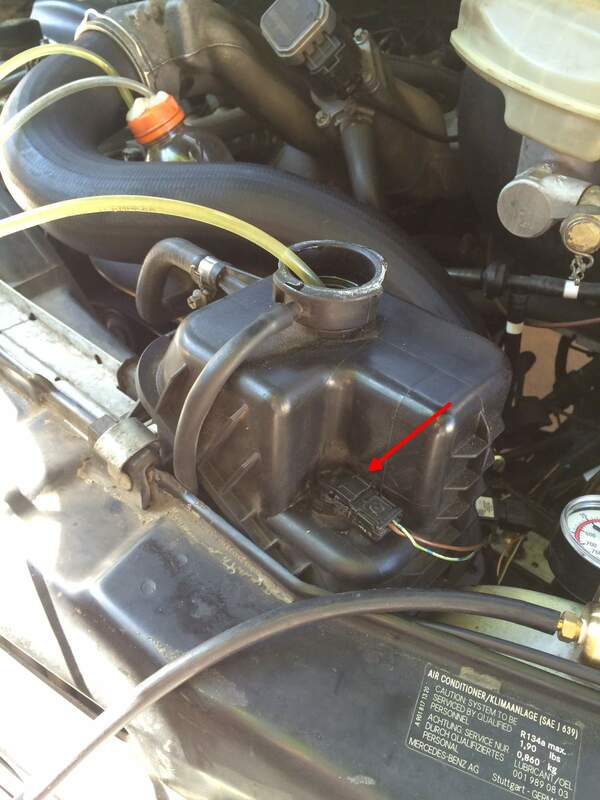 The coolant level sensor in a T1N is located in the coolant reservoir in the engine compartment (see the arrow in the second picture). To remove the sensor, disconnect the wiring and turn the sensor 90 degrees clockwise and lift it out. 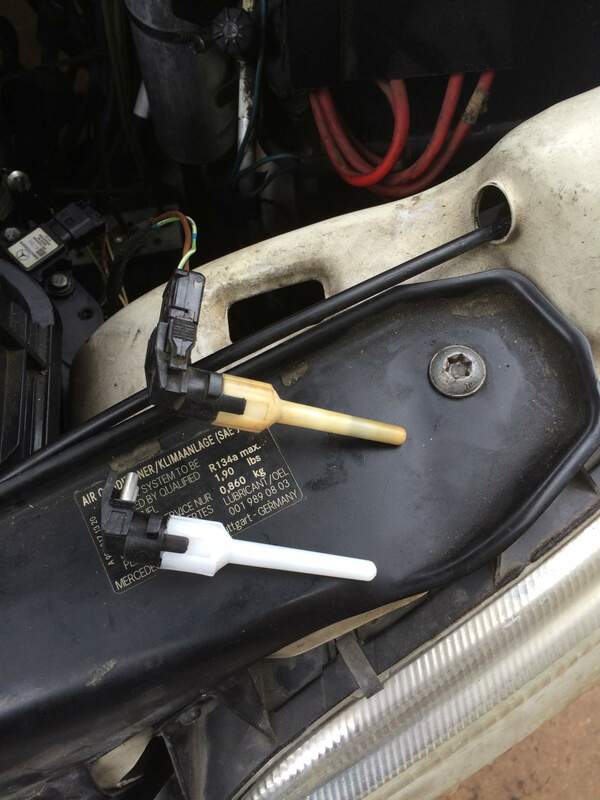 There’s no need to drain coolant to replace the sensor since the sensor doesn’t come into contact with the coolant itself. Instead the sensor measures a field that is created by a floating magnet inside the coolant bottle. The warning light should come on when you’ve removed the sensor about half an inch. It will go out again when you removed the sensor completely (that’s the design flaw of the Mercedes warning system). if you need a new coolant level sensor, the part number is A1295450224 (Mercedes Part #) or 05120509AA (Chrysler Part #). They can be found for about $10 on eBay or Amazon.